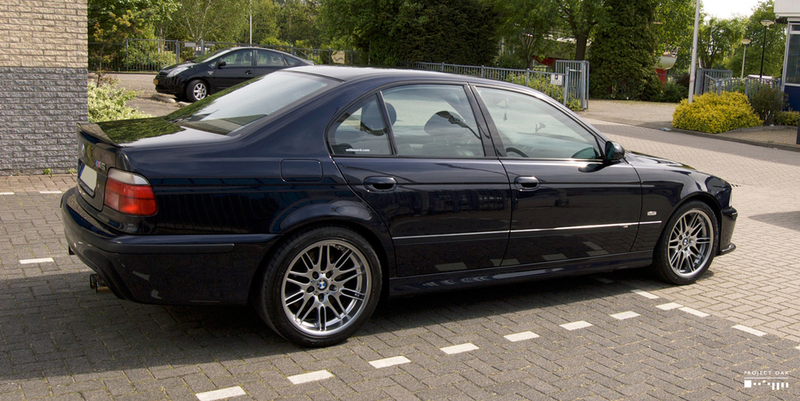 his E39 M5 Carbon Black came in for a detail to celebrate 100 000km on the clock and the anniversary of it's owner. Always garaged and cared for, this M5 was to have its paint restored in a two stage process and serve as an introduction to Detailing for its care taker - all in one weekend. Time was short, so pictures are scarce, but hopefully enough to show the transformation. 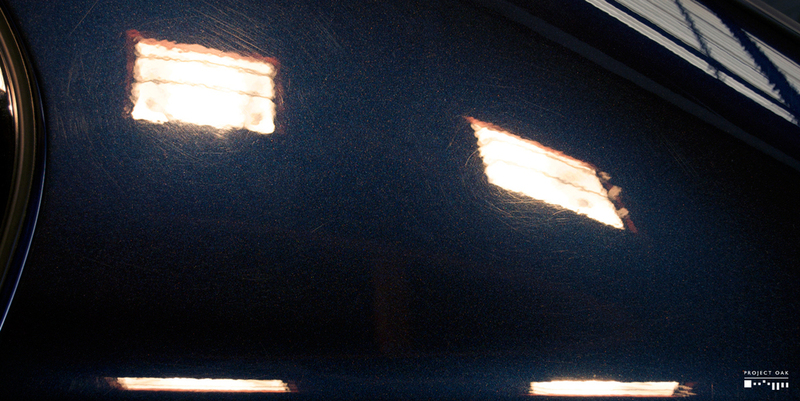 The detail began with a pre-wash foam to remove the road film and help lifting the dirt from the paint. Every rain drain or edge, was then cleaned with a soft brush and an all purpose cleaner. After a thorough rinse, the M5 was gently washed with a soft lambswool mitt and dual bucket mode, followed by a ultra fine clay session which caught barely any contamination on this always garaged M5. With the paint free from dirt, it was time to dry and roll it in the garage for polishing work. Under the halogens, the Carbon Black showed a good amount of swirls and several areas with deeper random scratches, specially around the wheel arches. 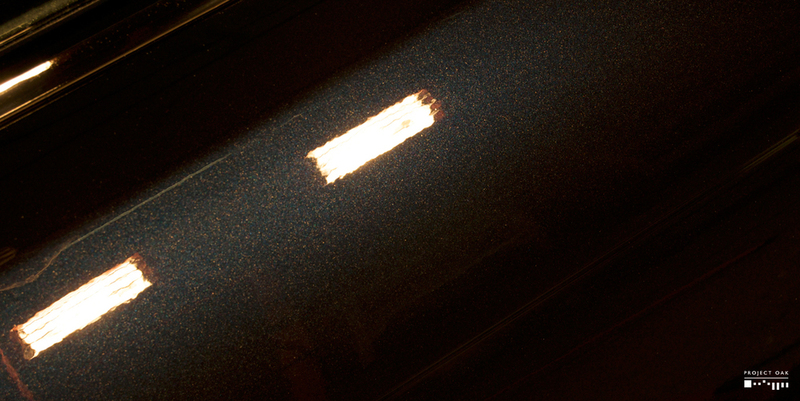 A two stage polishing process was required to restore the finish. The first step of the correction was done with Menzerna 3.02, with speeds up to 1900rpm, removing most of the defects. 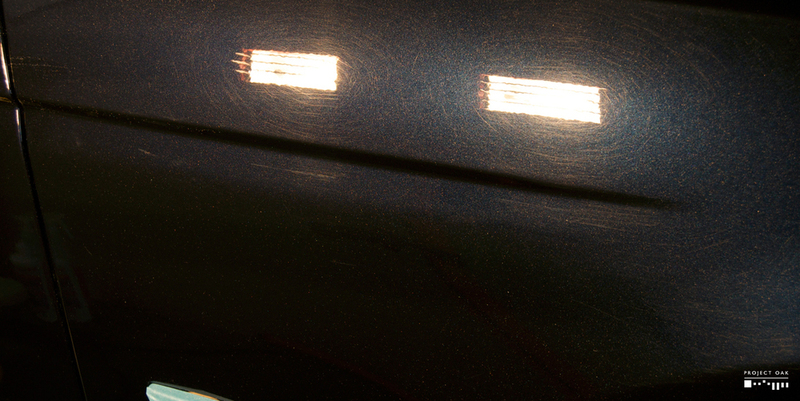 The polishing was followed by the finishing stage, to increase reflectivity and gloss. 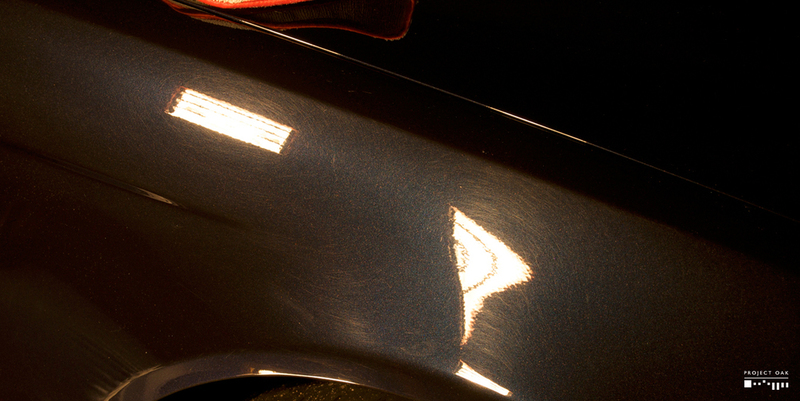 The paint was then pre-wax cleansed and had two layers of Concours Wax applied. A 50/50 of the correction progress on the Carbon Black. 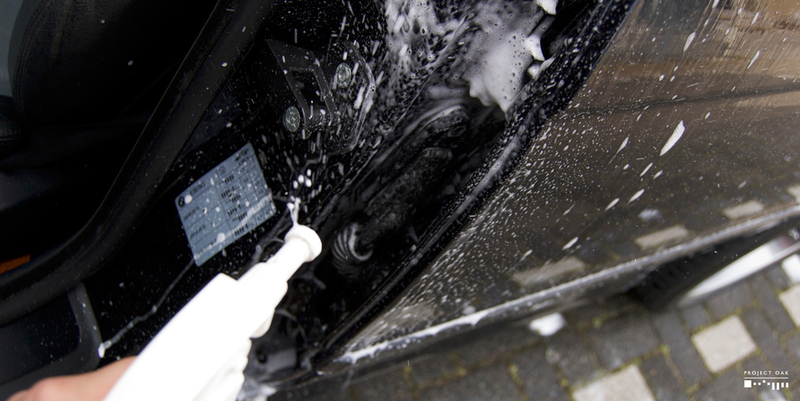 This was the first detail made on a E39 M5 in Carbon Black, a colour that left me impressed after this process and an influence for when we bought our own E39 Touring in the same shade. When polished, Carbon Black has a beautiful depth and a colour variation from Blue to Black that is just stunning to watch. It is rich in metallic pop and classic in its discreetness. A tough weekend, but a very rewarding result: A polished Carbon Black M5 and an owner and friend more in love with his car... and for me, that is success. M5 polished and ready to go.